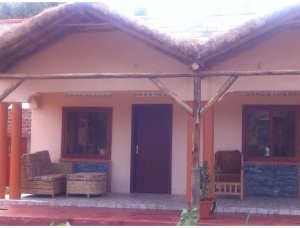 Gorilla African Guesthouse is a 10 minute drive from Entebbe International Airport. The guesthouse can arrange both pick-up and drop-off service to the airport which is always a reassuring service when arriving in a new country. 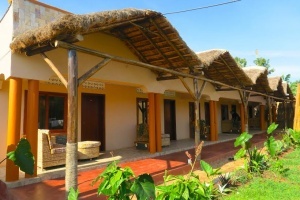 The guesthouse is located on a rural street, filled with friendly locals and smiling children. The local minibus service or Matatu as they are known, is 2 minutes walk from the guesthouse and can take you into the nearby town, Entebbe town centre or even to Kampala, the capital city which is one hour away.